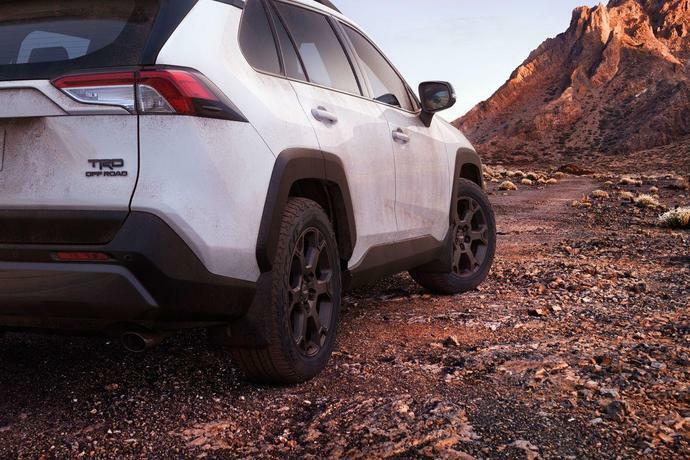 Red coil springs surround twin-tube shocks that feature revised internal rebound springs, and the suspension also receives new bump stops for better body control. 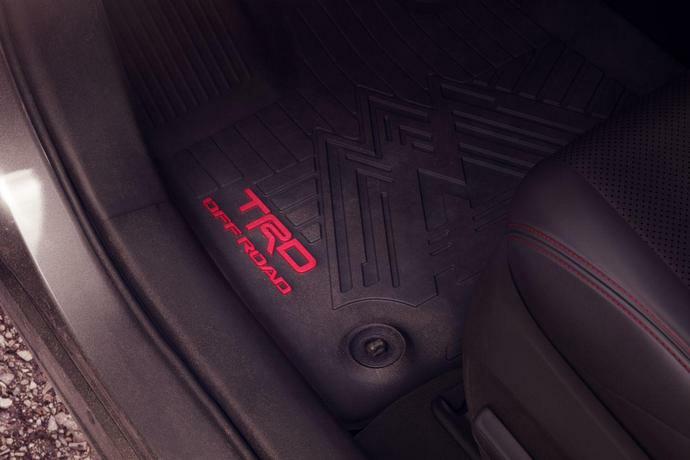 Like the Adventure trim, the TRD Off-Road will come standard with selectable drive modes for the torque-vectoring all-wheel-drive system. 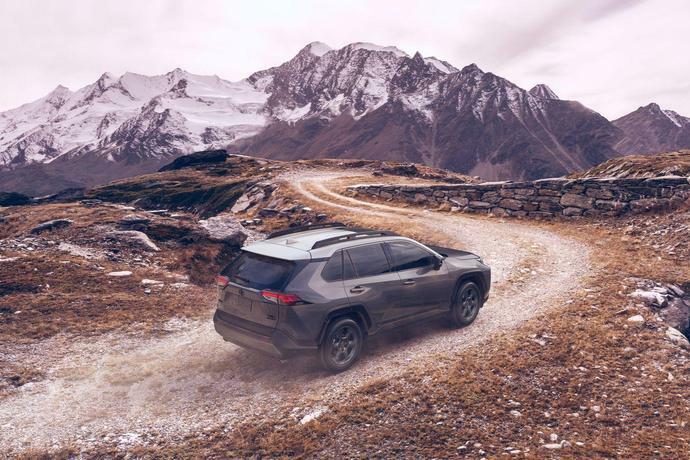 The rotary controller allows the driver to select Mud and Sand, Rock and Dirt, or Snow modes in addition to the Normal setting. 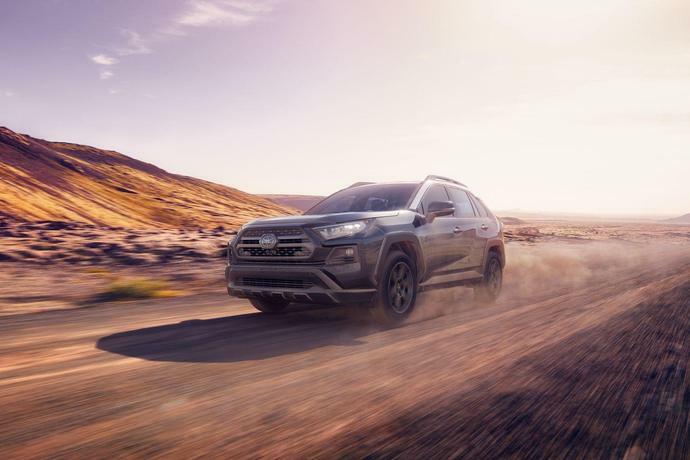 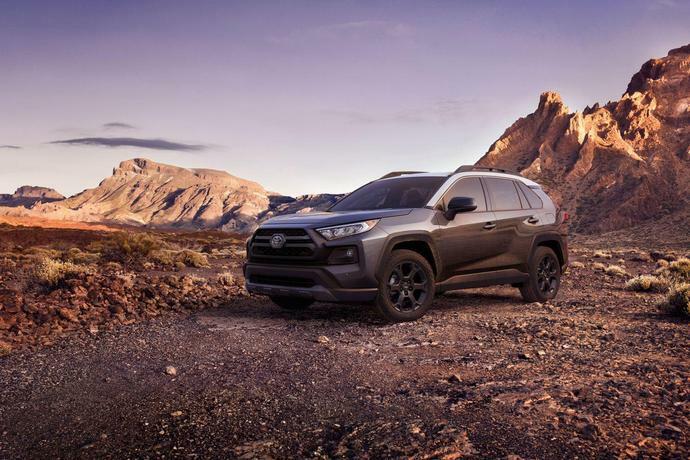 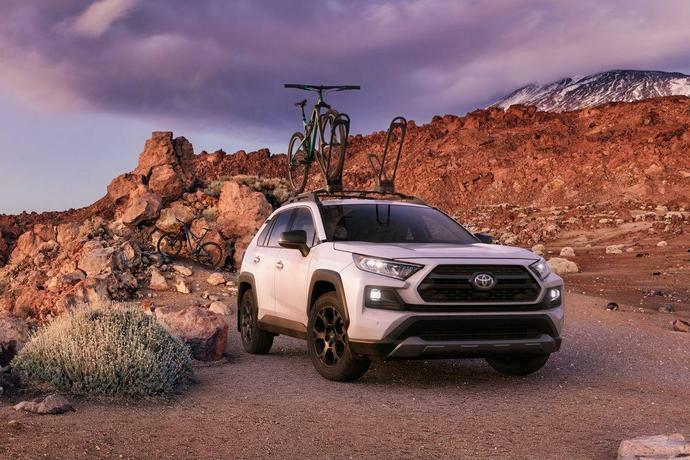 The RAV4's hybrid powertrain will not be offered on the TRD Off-Road, which instead comes standard with the 203-hp 2.5-liter inline-four and an eight-speed automatic transmission. 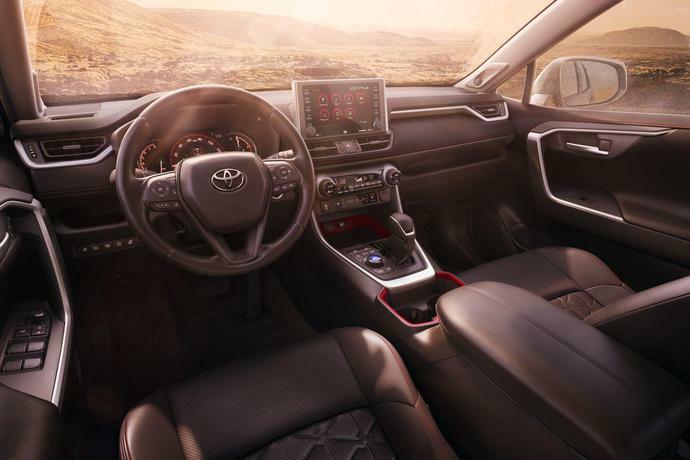 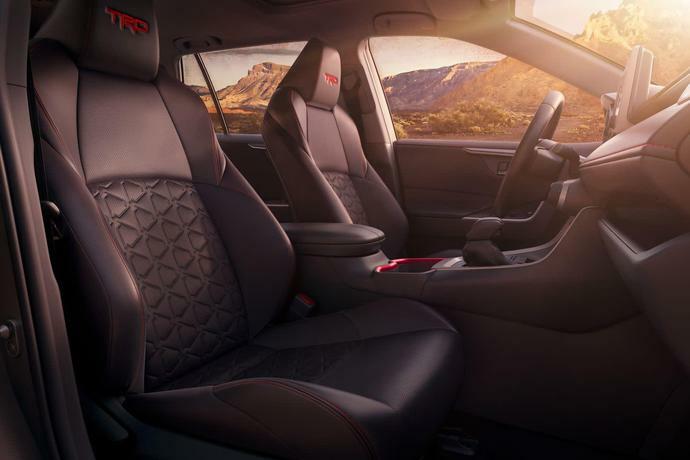 Toyota also gussied up the interior-albeit only slightly-with faux-leather seating surfaces, red contrast stitching, red interior trim, and embroidered TRD logos in the headrests.